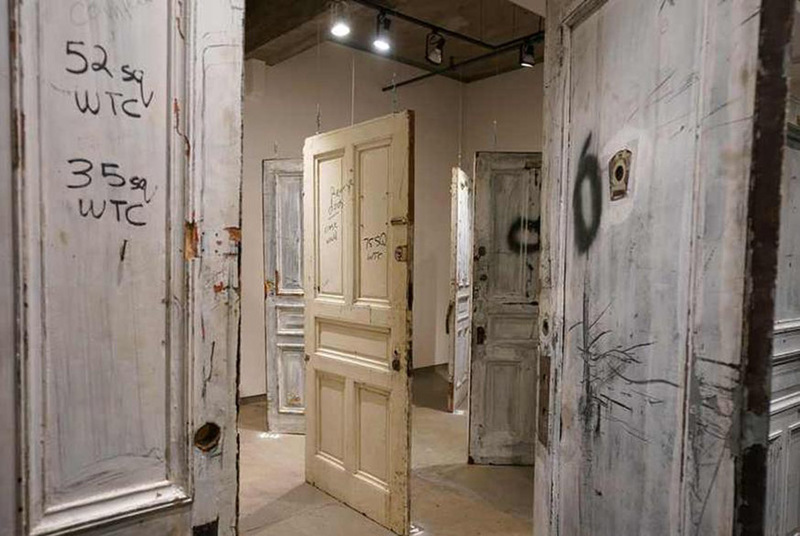 The doors were rescued from the trash in 2012 by Jim Georgiou. NEW YORK (AFP).- The auction of old, chipped doors from New York's Chelsea Hotel where celebrities including Janis Joplin, Jimi Hendrix and Madonna once stayed raised more than $400,000, an auction house said Friday. The doors "don't look very pretty but have incredible significance," Guernsey's auction house owner Arlan Ettinger told AFP before the bidding. Guernsey's auction house, which is still tallying the total amount raised, late Thursday released information on the top sales. Late 60s pop icon Janis Joplin once had a tryst with novelist and singer/songwriter Leonard Cohen at the hotel, immortalized in the Cohen song "Chelsea Hotel Nº.2" That door went for $106,250. Number 105 was the home of Edie Sedgwick, the model and muse of Warhol, who filmed some of his "Chelsea Girls" experimental film in the room. That door went for $65,625. Beatnik poet and writer Jack Kerouac of "On the Road" (1957) fame also lived at the Chelsea. His door fetched $37,500. Singer Joni Mitchell's stay at the hotel inspired her to write "Chelsea Morning." Her door went for $10,000. Jamaican singer-songwriter Bob Marley's door sold for $8,750, the same price fetched for the door to the room of artist Jackson Pollock. The auction house said Georgiou pledged half of his proceeds to City Harvest, a nonprofit organization dedicated to feeding the needy.